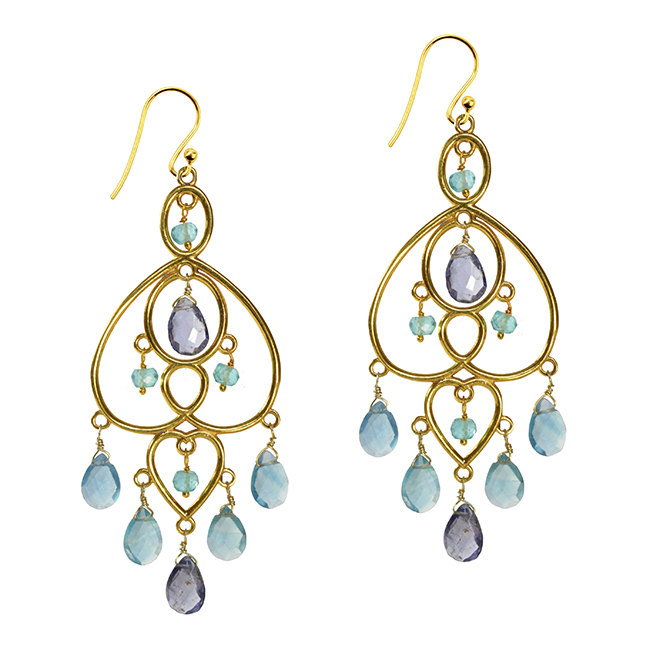 These stunning drop earrings are perfect for adding a touch of glamour to any outfit. 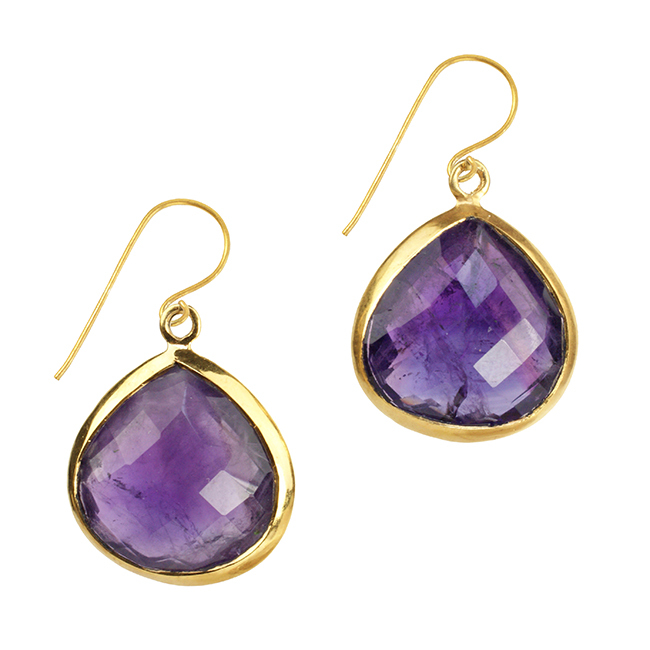 The lovely colour of the Natural Chalcedony contrasts well with the deep violet Iolite stone. 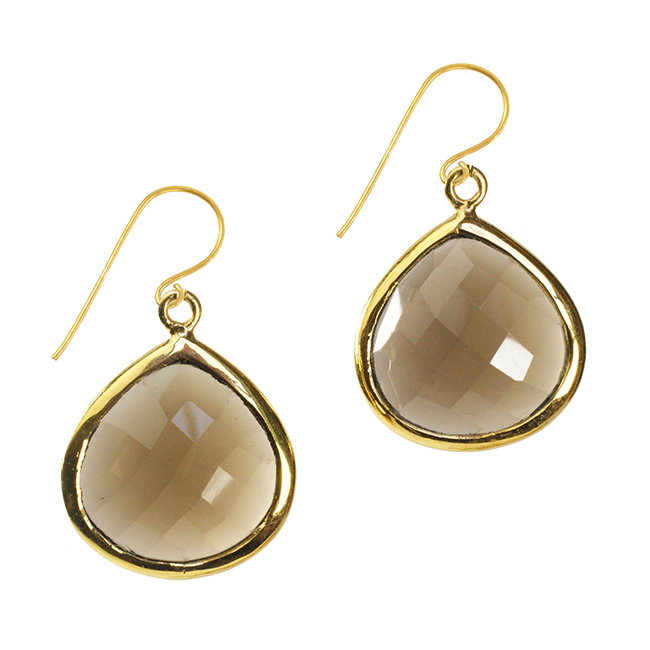 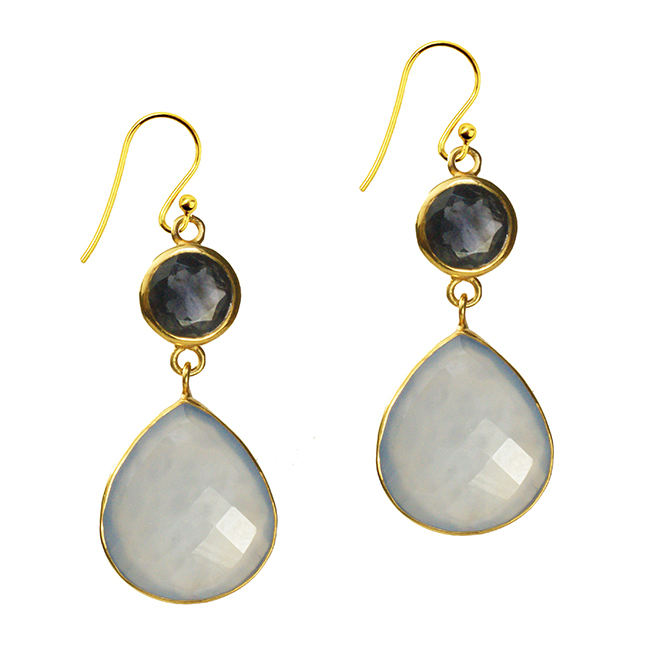 These stones are faceted and set in Silver and then gold plated.